Lipo lap ppc solution offers many benefits towards weight loss. 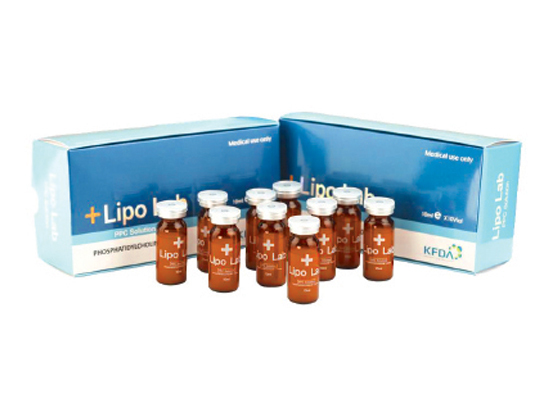 LIPO LAB is a product for melting subcutaneous fat. LIPO LAB is safe and effective. The treatment of subcutaneous fat with LIPO LAB PPC is done at 10-day interval. Lipo Lab has been developed in order to care the body more easily and quickly by selecting raw materials made in Germany which is known for safety, effectiveness and the best purity of 99.8%. Lipo Lab was designed in order to solve a problem in package due to the product's going bad and to save trouble to keep it refrigerated when storing the products by performing aseptic processing under 1,000 of atmospheric pressure of higher and gamma sterilization, and to be used conveniently and safely by thoroughly blocking infection by virus. No single case of side-effects has been reported in the clinical trial over 10,581 patients implemented in the UK and has been made even more renowned since celebrities like Britney Spears and Mariah Carey look like this PPC treatment and it ended up with a success. It has now become very popular in over 60 countries. 3. Unlike existing methods such as mesotherapy which only reduces the size of fat cells, Lipo Lab PPC dissolves, destroys fat cells and exhausts them out of body through sweat, urine and internal combustion, which does not incur the so-called 'yo-yo' phenomenon. 8. Gamma-irradiated Lipo Lab Solution secures safe treatment and raw material of 99.8% purity from Germany maximizes the efficacy of lipolysis.